Bose® QuietComfort® 35 Wireless Headphones II are engineered with world-class noise cancellation. Even better they free you from wires, connecting easily to your iPhone and iPad with Bluetooth. 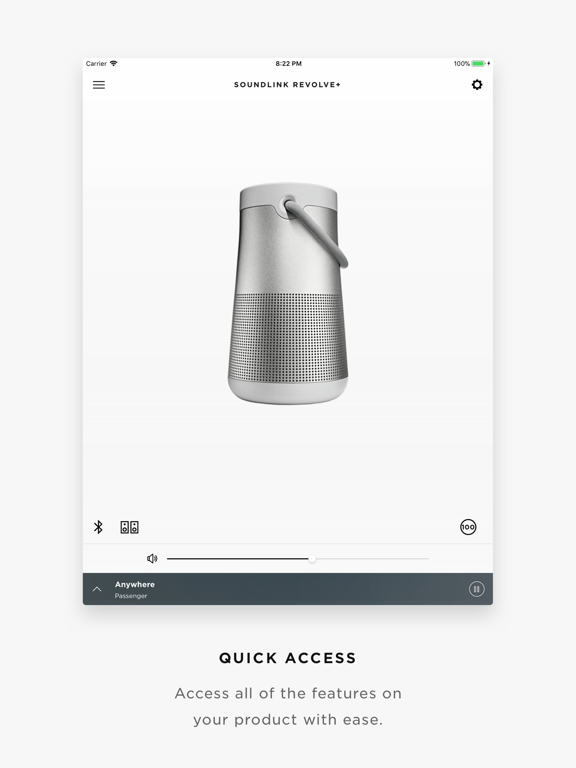 Clear voice prompts walk you through the connection process and the multi-function button continues to offer access to Siri. Volume-optimised EQ gives you balanced audio performance at any volume, whilst a noise-rejecting dual-microphone system provides clearer calls, even in noisy environments. The headphones feature up to 20 hours of wireless listening per charge and are designed with premium materials that make them lightweight and comfortable for all-day wear. 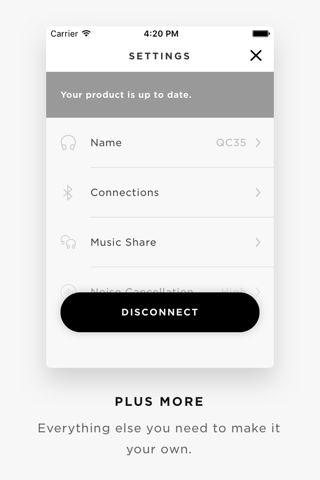 The Bose Connect app helps you set your preferred level of noise cancellation, unlock more features, and access future updates. And you get caught with a low battery, the included cable lets you plug in and keep the music playing. Includes audio cable for music listening without battery power. Battery life: Approximately 20 hours. I left my Beats Solo 3s on the airplane and found myself at an airport electronics store on my way home bemoaning my lack of music. The woman there almost scre I left my Beats Solo 3s on the airplane and found myself at an airport electronics store on my way home bemoaning my lack of music. The woman there almost screamed when i told her i was looking for a pair of over the ear headphones - she was so excited to share her experience with them. 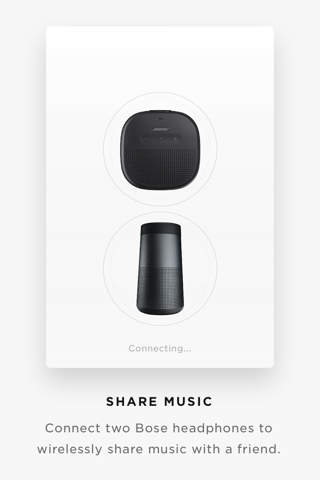 At first i didn't realize the app was required for easy pairing, but after that hiccup, the ability to connect to multiple devices at once, and the long charge hold rounded out the excellent sound quality. Super comfortable too. I’ve owned a lot of headphones over the years. Many of the top brands and brands that are not so good. Some headphones look good but sound really cheap. Some so I’ve owned a lot of headphones over the years. Many of the top brands and brands that are not so good. Some headphones look good but sound really cheap. Some sound good but are really heavy and ugly. The Bose QC35 II are in my opinion the best all around headphone available. Yes, there probably are some that might sound better, or more pure. But the Bose QC 35 2nd gen sound extremely good and the music is very balanced. Bass sounds good and prevalent but not overly prevalent. Mids and highs have a near perfect mix. The music sounds rich and deep. Drums sound pure and have a great pop to the snare. One part of the music isn’t more pronounced than another part and it’s a very satisfying sound. And the second gen headphones are much louder than the first gen. I love that about them. I like to crank it now and then. The comfort of these is second to none. I’ve never worn anything so comfortable. You can wear these for hours. The noise canceling truly is superb! The controls are easy to find and intuitive. They even have a built in google assistant button but you can also choose to use it for noise canceling levels. The flat black version looks very classy and advanced. Super light and sturdy. They don’t fall apart like other brands do. Try these. You’ll love them. Just make sure you are listening to music downloaded from iTunes or ripped from a CD. No headphones sound good when you are playing pandora. People stream pandora and then wonder why their headphones don’t sound good. Streaming music is compressed and sometimes doesn’t sound as good as it can when directly downloaded from iTunes of from a CD. I really can’t find much that I don’t like about these. I’ll never get rid of mine.. Battery life is very good! I can listen for days or watch hours and hours of videos without charging. I love these headphones! I've grown up listening to Bose speakers (401s and 901s) and have never heard a Bose product that did not agree with my ears. I've been using their QuietComfort I've grown up listening to Bose speakers (401s and 901s) and have never heard a Bose product that did not agree with my ears. I've been using their QuietComfort line for years and absolutely love the wireless capability of the 35s. I bought them to travel with (planes and trains) but find myself using them at home as well. They should great, I never run out of battery, and the Bluetooth connectivity has been rock solid. I have been using them for the last 10 days. While walking, or even when inside sometimes, the bluetooth cuts out. I keep the phone in the back pocket of my je I have been using them for the last 10 days. While walking, or even when inside sometimes, the bluetooth cuts out. I keep the phone in the back pocket of my jeans, and I walk in the forest, so there is no interference of any kind. The worse is when connected to my apple watch generation 4. I have connected to Iphone 6S and Iphone X, same situation. 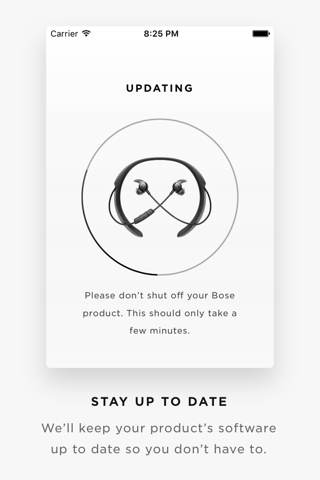 I reset the headphones using bose instructions, and I also updated the firmware by connecting directly to my computer to 4.3.6. The music is downloaded, so there is no streaming. Outdoor temp between 45-60F. It happens 6-10 times per hour, enough to create a negative experience. This is an ongoing problem with the QC35, not disclosed by main reviewers like cnet or pcmag. At this point in time, such a bug is not admisssible for such an expensive product. I will return them back to Apple. You will listen to every beat in the songs! 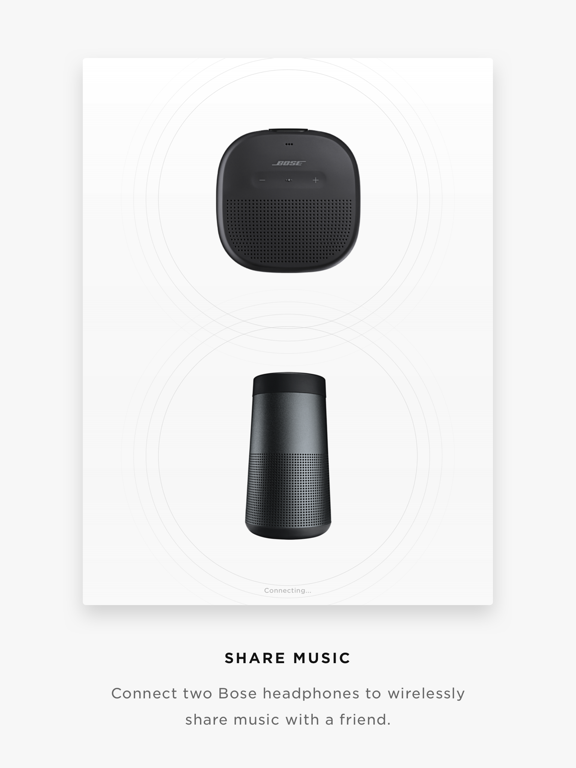 it completely isolates the noise around you. Can the QC35's accept phone calls like the AirPods? Sound quality differences between iPhone/MacBook when connected via Bluetooth. Yes Abdullah. On the Bose.... Slide the power switch to the Bluetooth symbol and hold until you hear Yes Abdullah. On the Bose.... Slide the power switch to the Bluetooth symbol and hold until you hear “Ready topair” or the Bluetooth indicator blinks blue. 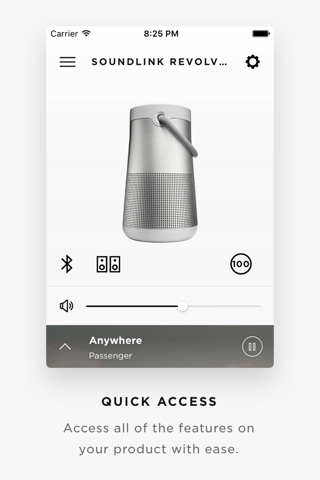 On your Bluetooth device, turn on the Bluetooth feature. 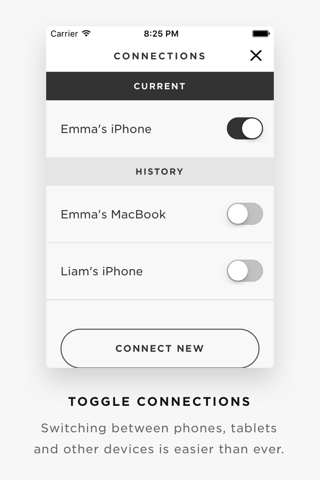 Tip: The Bluetooth menu is usually found in the Settings menu. 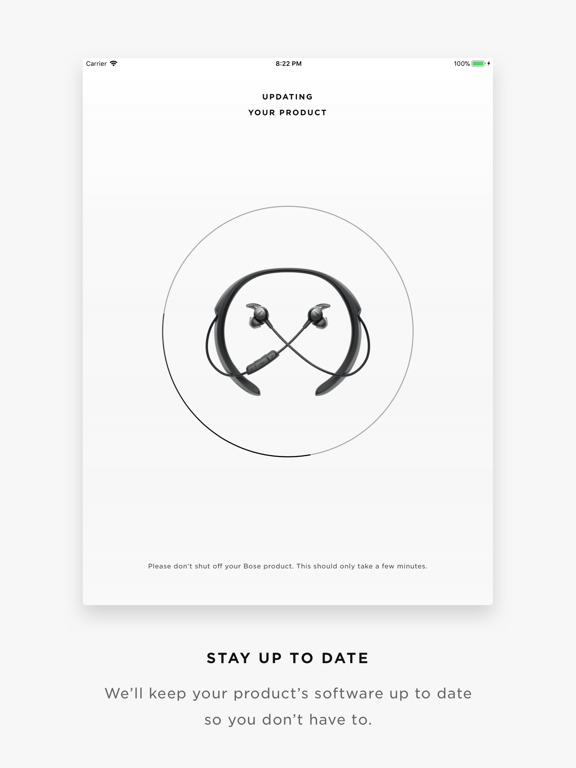 Select your Bose® QuietComfort® headphones from the device list. And on the Samsung Smart TV: Press the Home button on your Samsung Smart Control, to access the Home Screen. Using the directional pad on your remote, navigate to and select Settings. 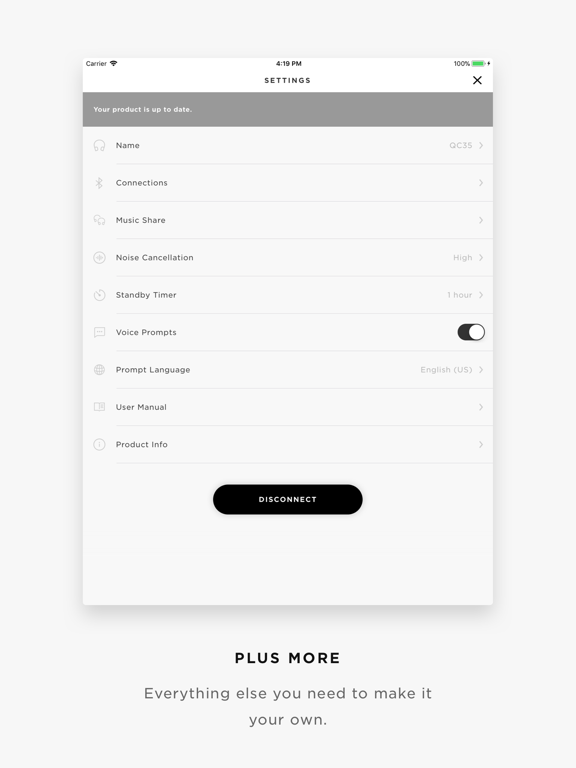 Select Sound Output to select your preferred sound output device. 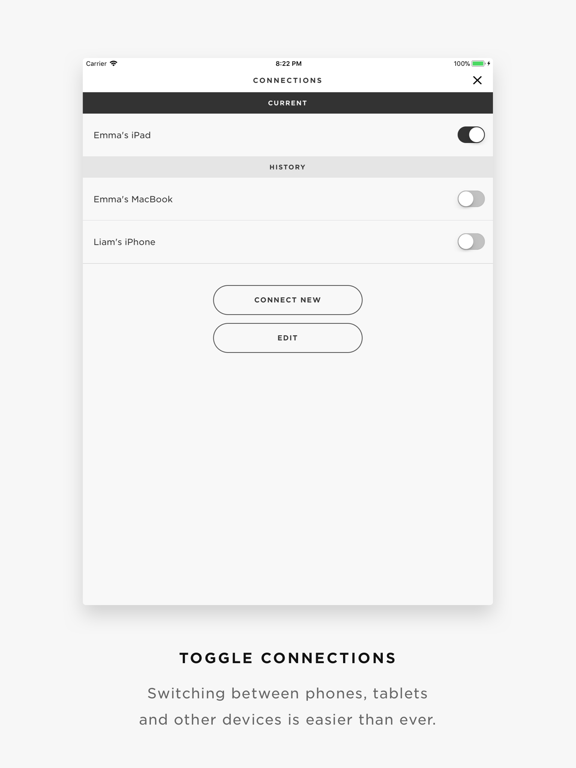 Select BluetoothAudio to begin pairing your Bluetooth audio device.